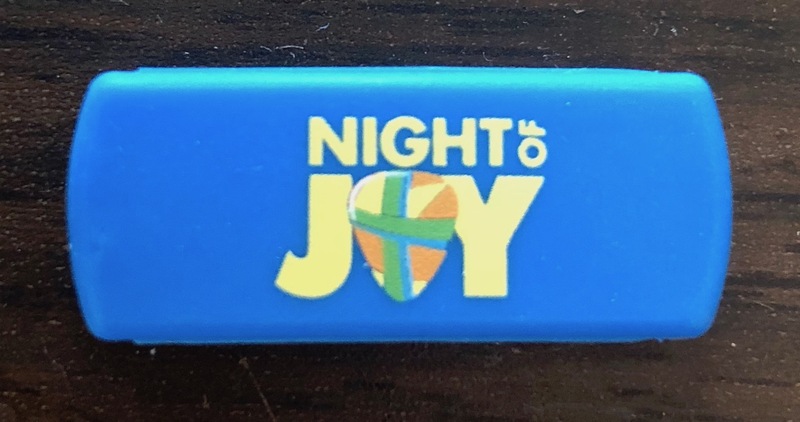 This MagicSlider is from the Night of Joy event that was held back on September 8-9, 2017. 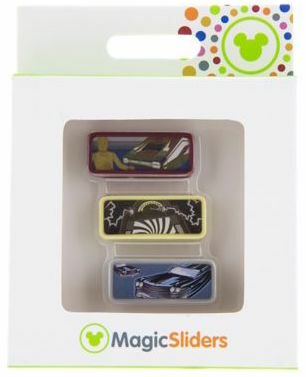 This was officially available from Disney for purchase at the event. 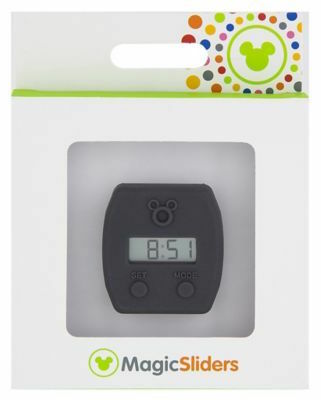 On April 15th, 2016 an updated digital clock slider was released. 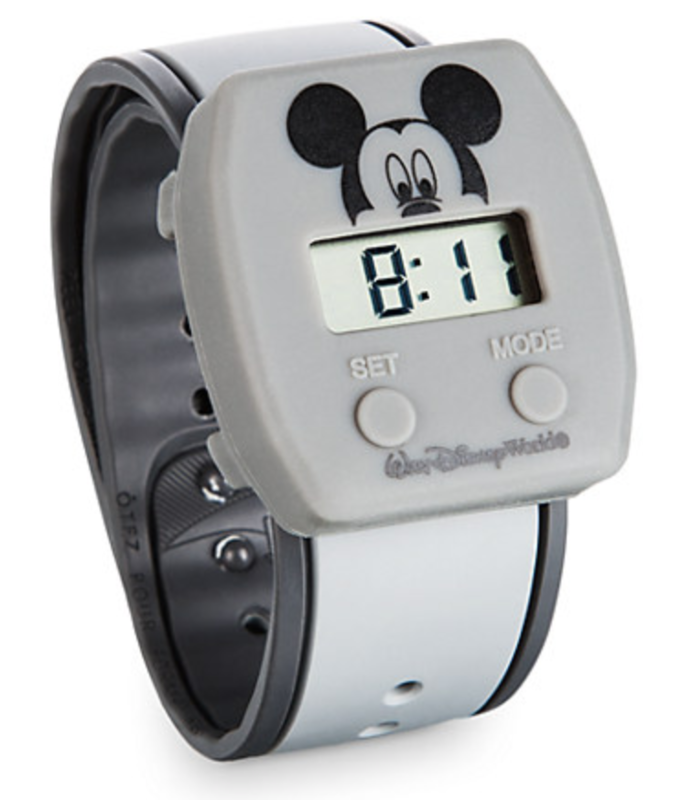 The new version has a printed Mickey face on it and is in a lighter gray than the previous model. 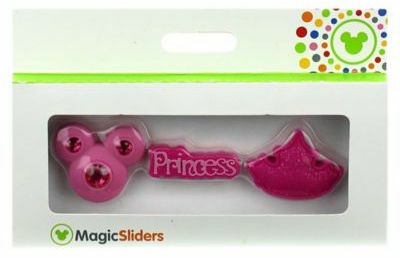 The price has also been raised to $19.95. 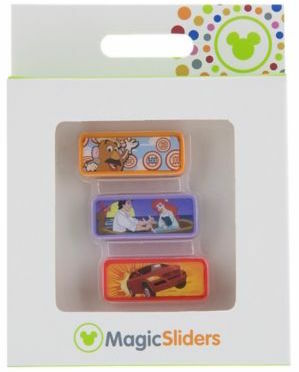 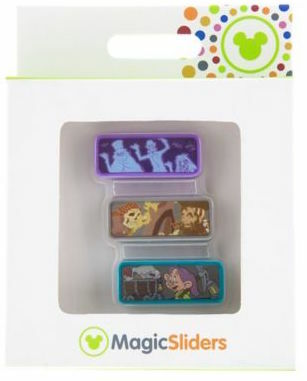 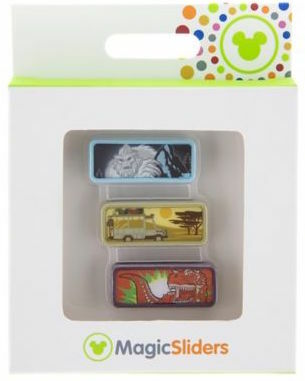 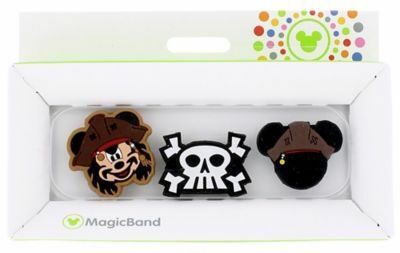 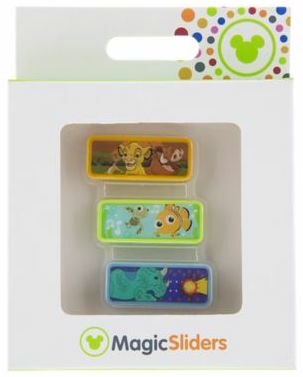 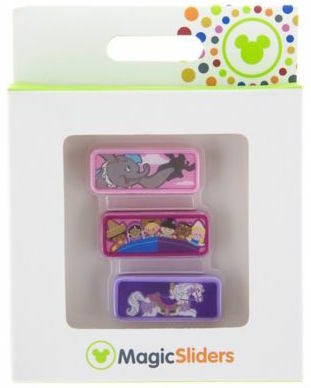 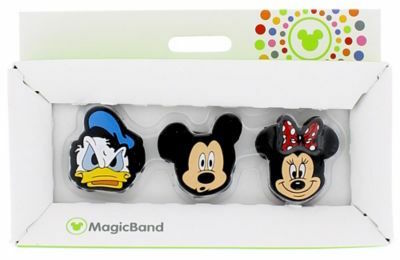 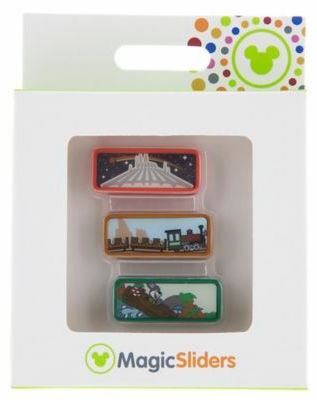 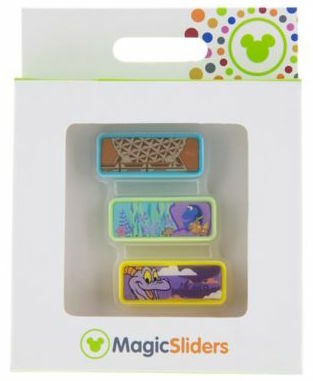 On Saturday July 25th, 2015 a number of new MagicSlider packs were released at Walt Disney World. 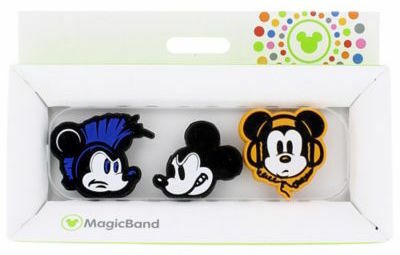 They are all related to the theme park rides. 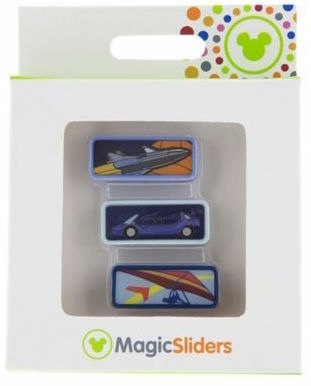 These are $6.95 per set. 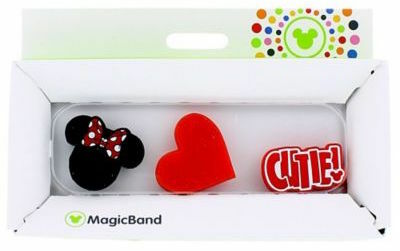 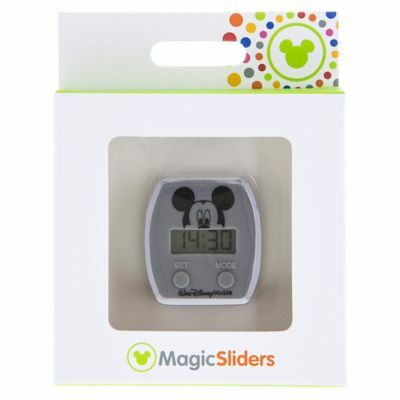 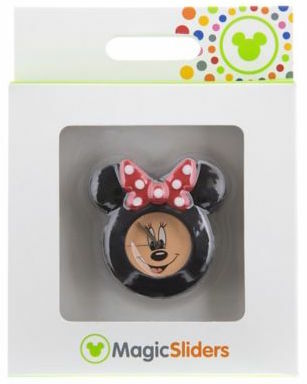 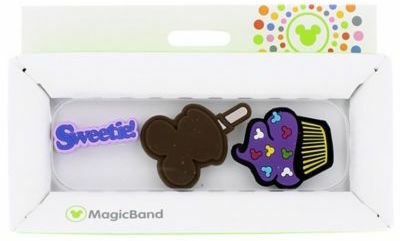 These watch sliders started appearing in Walt Disney World around mid-July to early-July 2015 at $24.95 for the Minnie watch and $17.95 for the digital clock.